Advanced Office Password Breaker - Guaranteed decryption of file open protected MS Word and Excel files regardless of password length or complexity because the encryption key is cracked, not the password. AOPB can open your file within a week on high end workstations. Basic Cryptography Glossary - Maintained by Rick Smith, author of Internet Cryptography. Bletchley Park - A heritage site where visitors can explore some of the iconic WWII Codebreaking Huts and Blocks and marvel at the achievements of the codebreakers whose work is said to have helped shorten the war by WWII years. BitLocker Drive Encryption - A full disk encryption feature included with the Ultimate and Enterprise editions of Windows Vista and Windows 7, the Pro and Enterprise editions of Windows 8 and Windows Server 2008 and later. It is designed to protect data by providing encryption for entire volumes. Also see Wikipedia. C4I - The acronym C4I stands for "command, control, communications, computers, and intelligence ". Links to security-related articles and information. Also see, Erehwon's Strong Cryptography Links on the Internet. Center for Democracy and Technology (CDT): Encryption - Information on encryption, legislation, policy, court cases, resources and links. CertifiedMail - Provides secure messaging capabilities to more than 300,000 email users around the world in four languages. Standard e-mail lacks encryption capability and other acceptable security measures, such as tracking, message integrity and other attributes of hard copy document delivery services. CertifiedMail technology, based on the Microsoft .Net platform, enhances your existing e-mail system to address these issues. Certificate Transparency - Google's Certificate Transparency project fixes several structural flaws in the SSL certificate system, which is the main cryptographic system that underlies all HTTPS connections. These flaws weaken the reliability and effectiveness of encrypted Internet connections and can compromise critical TLS/SSL mechanisms, including domain validation, end-to-end encryption, and the chains of trust set up by certificate authorities. CipherShed - An open-source disk encryption program for on-the-fly encryption. CipherShed is based on the discontinued source-available program TrueCrypt. Also see Wikipedia. CodeBreakers-Journal - Publishes and distributes materials in the field of Algorithms, Virus-Research, Software-Protection, Reverse Code Engineering and Cryptanalysis as well as all other areas of security analysis. Computer Security Group, University of Cambridge - An informal group of people with similar interests: mainly security, cryptology, and distributed systems. Comparison of Disk Encryption Software - A technical feature comparison of different disk encryption software. Cracking DES: Secrets of Encryption Research, Wiretap Politics, and Chip Design - The Electronic Frontier Foundation (EFF) raised the level of honesty in crypto politics by revealing that the Data Encryption Standard (DES) is insecure. The U.S. government has long pressed industry to limit encryption to DES (and even weaker forms), without revealing how easy it is to crack. Continued adherence to this policy would put critical infrastructures at risk; society should choose a different course. To prove the insecurity of DES, EFF built the first unclassified hardware for cracking messages encoded with it. On Wednesday, July 17, 1998 the EFF DES Cracker, which was built for less than $250,000, easily won RSA Laboratory's DES Challenge II contest and a $10,000 cash prize. It took the machine less than 3 days to complete the challenge, shattering the previous record of 39 days set by a massive network of tens of thousands of computers. The research results are fully documented in a book published by EFF and O'Reilly and Associates, entitled Cracking DES: Secrets of Encryption Research, Wiretap Politics, and Chip Design. Cryptography Project - Links to papers that Georgetown University computer science professor Dorothy Denning has authored or co-authored and to other selected documents and web pages. Cryptography Research - Committed to assisting clients and partners in identifying, developing, and implementing cost-effective security solutions. 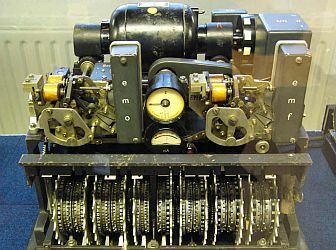 Site contains extensive collection of cryptography resources. Cryptology ePrint Archive - Research in cryptology. Data Encryption Techniques - Primer on encryption. Decryptum - Instant online Word and Excel password removal service. DigiCert - A U.S.-based Certificate Authority located in Lindon, Uta. Provides digital certificates to over 60,000 customers in more than 146 countries. Digital Transmission Licensing Administrator (DTLA) - To allow for protected transmission of copy-protected material between digital devices like PC's, DVD Players, and Digital TV's, five companies - Hitachi, Intel, Matsushita (MEI), Sony and Toshiba have prepared the "5C" Digital Transmission Content Protection (DTCP) specification. This site provides informaiton on DTCP. Digital Watermarking World:; Digital Watermarking and Steganography Search Engine - An international meeting point for scientists, researchers and companies active in digital watermarking. DVD-Copy - Forum for DVD encryption technology. DVD Copy Control Association (DVD CSS) - A not-for-profit corporation with responsibility for licensing CSS (Content Scramble System) to manufacturers of DVD hardware, discs and related products. Licensees include the owners and manufacturers of the content of DVD discs; creators of encryption engines, hardware and software decrypters; and manufacturers of DVD Players and DVD-ROM drives. Elliptic Curve Cryptosystem (ECC) - Discovered in 1985 by Victor Miller (IBM) and Neil Koblitz (University of Washington) as an alternative mechanism for implementing public-key cryptography. Public-key algorithms create a mechanism for sharing keys among large numbers of participants or entities in a complex information system. Unlike other popular algorithms such as RSA, ECC is based on discrete logarithms that is much more difficult to challenge at equivalent key lengths. The Certicom ECC Challenge offers an opportunity for people around the world to create new methods of attacking the algorithm and exposing any weaknesses. The longer an algorithm stands up to attack the more confidence developers have in its ultimate security. Email Encryption - Wikipedia article discussing Bitmessage, Pretty Good Privacy (PGP), OpenPGP, GNU Privacy Guard, S/MIME. TLS and more. Peerio - A cloud-based encrypted communications suite. Available for Android, iOS, Windows, macOS, Linux, and as a Google Chrome extension. Also see Wikipedia. Signal - An encrypted communications application for Android and iOS. It uses the Internet to send one-to-one and group messages, which can include files, voice notes, images and videos, and make one-to-one voice and video calls. Also see Wikipedia. WhatsApp - A freeware, cross-platform and end-to-end encrypted instant messaging application for smartphones. It uses the Internet to make voice calls, one to one video calls; send text messages, images, GIF, videos, documents, user location, audio files, phone contacts and voice notes. to other users using standard cellular mobile numbers. Also see Wikipedia. Encryption Issues Page - Provided by the Center for Democracy and Technology. Exhaustive Search - Blog from Matt Blaze focusing on the architecture and design of secure systems based on cryptographic techniques, analysis of secure systems against practical attack models, and on finding new cryptographic primitives and techniques. Firewall - Links, resources, news in computer security, encryption, crytography, firewall software, firewall associations. FreeNet - Freenet lets you publish and obtain information on the Internet without fear of censorship. To achieve this freedom, the network is entirely decentralized and publishers and consumers of information are anonymous. Without anonymity there can never be true freedom of speech, and without decentralization the network will be vulnerable to attack. Communications by Freenet nodes are encrypted and are "routed-through" other nodes to make it extremely difficult to determine who is requesting the information and what its content is. Users contribute to the network by giving bandwidth and a portion of their hard drive (called the "data store") for storing files. Unlike other peer-to-peer file sharing networks, Freenet does not let the user control what is stored in the data store. Instead, files are kept or deleted depending on how popular they are, with the least popular being discarded to make way for newer or more popular content. Files in the data store are encrypted to reduce the likelihood of prosecution by persons wishing to censor Freenet content. Gallery of CSS Descramblers - This site, through examples, points out the absurdity of the position that source code can be legally differentiated from other forms of written expression. GNU Privacy Guard (GnuPG) - GnuPG is a complete and free implementation of the OpenPGP standard as defined by RFC4880 (also known as PGP). GnuPG allows to encrypt and sign your data and communication, features a versatile key management system as well as access modules for all kinds of public key directories. GnuPG, also known as GPG, is a command line tool with features for easy integration with other applications. A wealth of frontend applications and libraries are available. Version 2 of GnuPG also provides support for S/MIME and Secure Shell (ssh). Also see Wikipedia. Gold-Bug - A short story by Edgar Allan Poe. Set on Sullivan's Island, South Carolina, the plot follows William Legrand, who was recently bitten by a gold-colored bug. The Gold-Bug was an instant success and was the most popular and most widely read of Poe's works during his lifetime. It also helped popularize cryptograms and secret writing. Full text from the Dollar Newspaper (1843). GSMK CryptoPhone - Mobile voice and message security. How can I open protected MS Word or Excel files if I lost (or never knew) the password for opening them? - Pre-computing encryption keys and using knowledge of MS Office document's structure makes recovery process almost instant. Visit Decryptum.com. This is the first instant recovery service for the password protected MS Word and Excel files. How to Encrypt and Protect Your Email - Learn how to send and receive encrypted emails plus other tips to help keep your email protected and private. How PGP Works - Text from chapter 1 of the document Introduction to Cryptography in the PGP 6.5.1 documentation. International Association for Cryptologic Research (IACR) - A non-profit scientific organization whose purpose is to further research in cryptology and related fields. International PGP Home Page - Promotes the use of PGP worldwide. Resource pool for information on the PGP program and the OpenPGP standard. Internet Security, Applications, Authentication and Cryptography (ISAAC) - Resources, news, project information provided by a small research group in the Computer Science Division at the University of California, Berkeley. LostPassword - Password recovery software. MIT PGP Public Key Server - PGP or Pretty Good Privacy is a powerful cryptographic product family that enables people to securely exchange messages, and to secure files, disk volumes and network connections with both privacy and strong authentication. National Cryptologic Museum - Provides a "peek behind the curtain" at a once-secret world - the exploitation of enemy cryptology and the protection of American communications. National Institute of Standards and Techology (NIST): Computer Resource Center - Focuses on developing cryptographic methods for protecting the integrity, confidentiality, and authenticity of information resources; and addresses such technical areas as: secret and public key cryptographic techniques, advanced authentication systems, cryptographic protocols and interfaces, public key certificate management, smart tokens, cryptographic key escrowing, and security architectures. Helps enable widespread implementation of cryptographic services in applications and the national infrastructure. National Security Agency / Central Security Service - America's cryptologic organization. coordinates, directs, and performs specialized activities to protect U.S. government information systems and produce foreign signals intelligence information. Off-the-Record Messaging - Allows you to have private conversations over instant messaging by providing: encryption, authentication, deniability, and perfect forward secrecy. Also see Wikipedia. Openlaw on Open DVD - An open public forum developing arguments to challenge publishers' assertions of absolute control over digital media. p2pnet - Daily P2P and digital media news site. Password Cracking FAQ - A password cracker is any program that can decrypt passwords or otherwise disable password protection. A password cracker need not decrypt anything. In fact, most of them don't. Real encrypted passwords, as you will shortly learn, cannot be reverse-decrypted. Password Service - Password recovery service. SSL: Intercepted Today, Decrypted Tomorrow - Article from Netcraft. Pretty Good Privacy - Wikipedia backgrounder: "A data encryption and decryption computer program that provides cryptographic privacy and authentication for data communication. PGP is often used for signing, encrypting and decrypting texts, e-mails, files, directories and whole disk partitions to increase the security of e-mail communications. It was created by Phil Zimmermann in 1991." Privacy - Privacy-related news, information, and action. Quantum Hacking - Research in quantum information and security of quantum cryptography in Norway. Ronald L. Rivest - Professor Rivest, the Andrew and Erna Viterbi Professor of Electrical Engineering and Computer Science at MIT, has interests in cryptography, computer and network security, and algorithms. He is a member of MIT's Computer Science and Artificial Intelligence Laboratory (CSAIL), a member of the lab's Theory of Computation Group and a founder of its Cryptography and Information Security Group. He is also a founder of RSA Data Security, now named RSA Security (the security division of EMC) and of Peppercoin. Professor Rivest has research interests in cryptography, computer and network security, electronic voting, and algorithms. .
Russian Password Crackers - This site concerns the practical demonstration of cryptography weakness. All software presented here illustrates four main reasons of cryptosystems untrustworthiness: application of weak algorithms, wrong implementation or application of cryptalgorithms and human factor. Security and Cryptography Research - Conducts research in areas spanning from theory to practice: we work on the theoretical foundations of cryptography; the development and analysis of cryptographic protocols and algorithms; and on applied cryptography, systems security, and network security. Affiliated with the University of California at San Diego. Sophos - IT security products and strategy. Spread Spectrum Image Steganography (SSIS) - Patent information on SSIS. The Spread Spectrum Image Steganography (SSIS) of the present invention is a data hiding/secret communication steganographic system which uses digital imagery as a cover signal. SSIS provides the ability to hide a significant quantity of information bits within digital images while avoiding detection by an observer. The message is recovered with low error probability due the use of error control coding. SSIS payload is, at a minimum, an order of magnitude greater than of existing watermarking methods. Furthermore, the original image is not needed to extract the hidden information. The proposed recipient need only possess a key in order to reveal the secret message. The very existence of the hidden information is virtually undetectable by human or computer analysis. Finally, SSIS provides resiliency to transmission noise, like that found in a wireless environment and low levels of compression. Symantec Encryption - Symantec's encryption products, now including PGP and Symantec Endpoint Encryption, enable organizations to deliver comprehensive data protection with proven standards-based technology. Our easy-to-deploy solutions provide centralized policy management, accurate compliance-based reporting and true universal management of our encryption products. TrueCrypt - Free open-source disk encryption software for Windows 7/Vista/XP, Mac OS X, and Linux. U.S. Public Policy Council of ACM (USACM) - Chartered as the focal point for ACM's interaction with U.S. government organizations, the computing community, and the U.S. public in all matters of U.S. public policy related to information technology. Each member of USACM is part of at least one of its six committees: Privacy and Security, Intellectual Property, Law, Accessibility, Digital Government, and Voting.Also see USACM members page. VeraCrypt - Adds enhanced security to the algorithms used for system and partitions encryption making it immune to new developments in brute-force attacks. Word Key - Recovers passwords for Word document files. 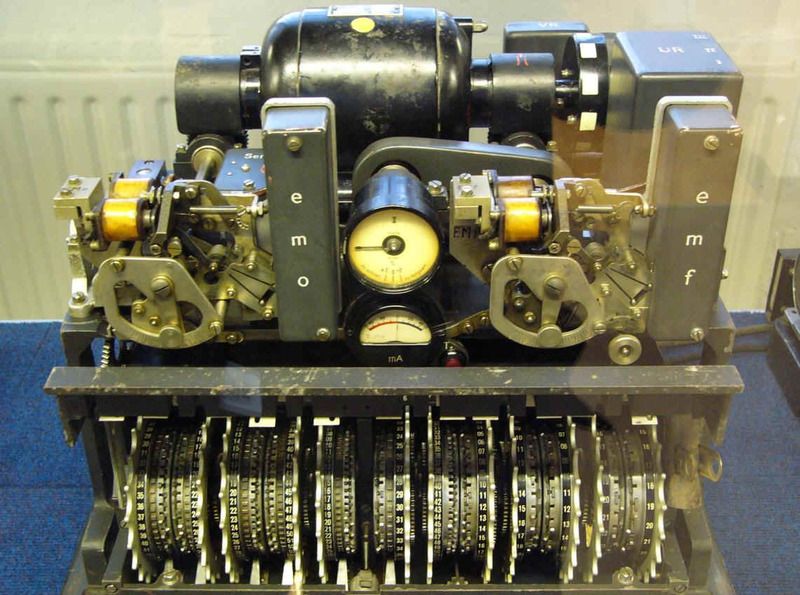 World War II Codes and Ciphers - The history, science and engineering of cryptanalysis in World War II. ZixCorp - ZixCorp Email Encryption Services are purchased on the sender side only. Companies and organizations can protect their outbound email through ZixGateway or ZixMail. ZixGateway is a content-aware, policy-based email encryption appliance that automatically scans emails for sensitive information. ZixMail is an easy-to-use desktop email encryption solution that lets users encrypt and decrypt emails and attachments with a single click. This webpage last updated on Tuesday, March 27, 2018 6:09 AM.